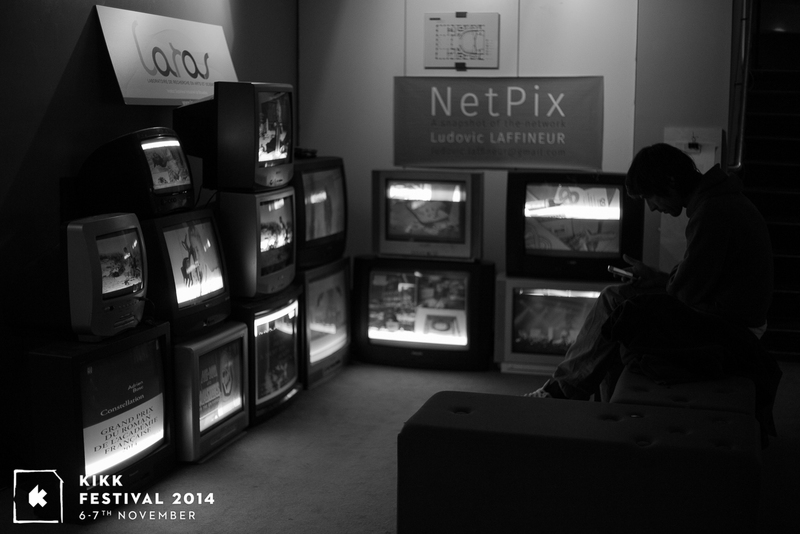 The 6th and 7th november 2014, Ludovic LAFFINEUR presented a installation called NetPix during the festival KIKK in Namur. Visible borrowed space, “NetPix” materializes flows and makes data exchanges visible through pictures. The installation captures and shows visual contents circulating on the Kikk14 network, raising a fundamental question: Does a private life really exist on the Internet? Grabbed pictures are displayed on cathodic televisions, almost universel symbols of a pre-internet time where privacy sounded different. This entry was posted in network, visualisation and tagged analysis, Brussels, KIKK, Laras, netpix, network, picture, privacy, the state of play, visualisation. Bookmark the permalink.